Passionate about golf. Inspired by the Carolina Coast. 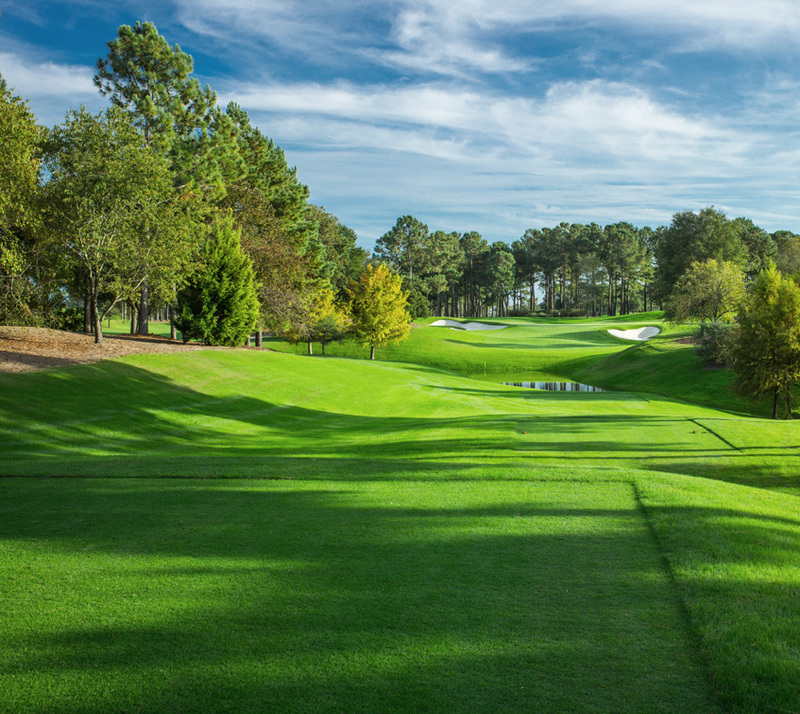 Our Tom Fazio-designed course elegantly accentuates the coastal geography of North Carolina, earning its rank among Golf Digest’s top-100 American links. Complementing course play, our Down East-style clubhouse draws the same natural influence to accommodate members and guests with warmth and welcoming. Eagle Point presents a 7,259-yard journey through the live oaks, sabal palms and coastal waters of Wilmington, North Carolina. Stunning views overlook a saltwater bay and the Intracoastal Waterway toward Figure Eight Island. Inspired by the natural setting, North Carolina native Tom Fazio designed the course in the late 1990s; it opened in 2000. Fazio boasts more courses ranked in America’s Greatest 100 than any other golf architect, and Eagle Point has proudly stood among them since 2009.